Breakfast is a perfect opportunity to increase levels of antioxidants and other healthy nutrients. Antioxidants help protect against free radicals and DNA damage. The antioxidant content of typical American breakfast foods, such as bacon, eggs, corn flakes with milk, Egg McMuffin, pancakes with maple syrup, and bagel with cream cheese, are generally low. To boost antioxidant levels, antioxidant-rich plant foods should be consumed at breakfast and throughout the day. For example, two hours after eating a bowl of corn flakes, antioxidant levels drop; however, adding a half-cup of blueberries helps prevent further oxidation. Breakfast can also contribute to getting a third of the daily vitamin B12 requirement from fortified foods. B vitamins can reduce homocysteine levels in the blood. Homocysteine is considered a strong, independent risk factor for the development of dementia and Alzheimer’s disease. Oatmeal is another beneficial breakfast food. Oats are reported to help lower blood cholesterol and blood sugar; boost the immune system; act with anti-cancer, antioxidant, and anti- atherosclerosis properties; and may also be useful in controlling childhood asthma, and body weight. Oats, as well as other whole grains, have also been found to be protective against nonalcoholic fatty liver disease, the most common cause of liver disease in the United States. Smoothies are a quick, portable, and delicious choice for breakfast. They can boost the quality and quantity of vegetable and fruit consumption and maximize nutrient absorption. A smoothie made of unsweetened soymilk, frozen blueberries, mango, ground flax-seeds and white tea leaves, and some gooseberry powder (amla), provides 1,500 units of antioxidant power. A smoothie can be as filling consuming fruits and vegetables whole if it is sipped slowly over time rather than gulped down. One of the worst breakfast cereals will surprise you. How to Lower Lead Levels with Diet: Breakfast, Whole Grains, Milk, Tofu? Getting food into your stomach within a few hours of lead exposure can suppress the absorption of lead by 90 percent or more—but which foods are particularly protective? If our body doesn’t register liquid calories as well, why are blended soups more satiating than the same ingredients eaten in solid form? One week on a plant-based diet can significantly drop blood levels of homocysteine, a toxin associated with cognitive decline and Alzheimer’s disease. Without vitamin B12 supplementation, though, a long-term plant-based diet could make things worse. 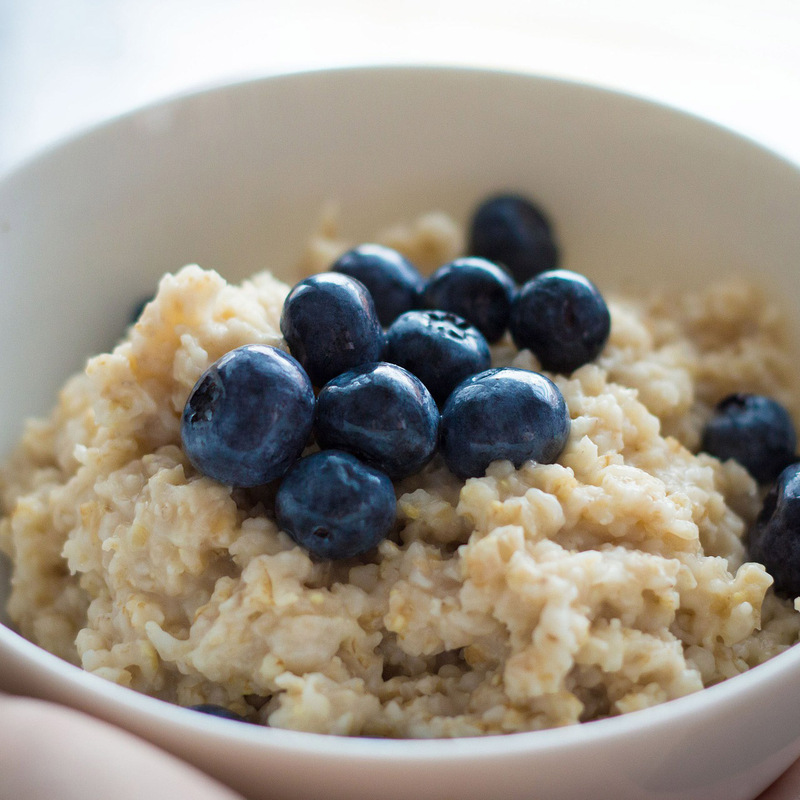 Can Oatmeal Help Fatty Liver Disease? Is whole grain consumption just a marker for healthier behaviors, or do whole grains have direct health benefits? Does cooking meals at home lead to improved health outcomes? And how do TV dinners compare nutritionally to TV-chef recipes? Even studies funded by the American Egg Board show our arteries benefit from not eating eggs.